If you discover a defect, Tobii will, at its option, repair or replace your device with a new or refurbished unit of the same or similar model. In some cases, Tobii might, at its discretion, refund the price paid by you for the product instead of providing repair or replace services. problems that arise as a result of damage that has been caused, in Tobii’s reasonable estimation, by servicing (upgrading, expansion, disassembly, repair, or other modification) by anyone who is not expressly authorized by Tobii to perform such service. The Tobii Warranty is considered null and void if damage has been caused, in our estimation, by disassembly or other modification by any party who is not specifically authorized by Tobii to provide such service. The product is a measurement device and performance can vary based e.g. on an individual’s eye color, facial physiognomy, glasses, contact lenses or on surrounding light conditions. Any specifications of the product functionality, written or otherwise presented, relate to performance over the world population and an individual can experience both higher and lower performance. Tobii shall not, under any circumstances, be liable for any indirect or consequential damage, including but not limited to loss of business or goodwill, loss of revenue, loss of profits, downtime or replacement of equipment and property or any loss of data, that may be incurred due to the purchase of the Tobii product or the use of the product or any part thereof, except to the extent caused by gross negligence or willful intent by Tobii. Tobii’s liability shall be limited to the order sum, i.e. the total price paid by the customer to Tobii (including original shipping costs except express delivery) for the particular Tobii product contained in the particular order that directly caused the liability, except for in circumstances of gross negligence or willful misconduct by Tobii. Neither party shall be liable to the other for failure or delay in the performance of an obligation due to events that are unforeseeable and beyond the control of either Party, such as but not limited to war, fire, explosion, labor conflicts, acts of nature, embargoes or government regulations and restrictions that interfere with the obligations carried out here under, provided that the Party affected by such case of force majeure gives prompt written notice of such condition to the other Party and resumes its performance as soon as reasonably possible. This warranty does not guarantee uninterrupted use of the Tobii product. Nor does it include any Software distributed together with the product. Tobii's liability for defects in the product is limited to what is stated in the warranty above and you cannot make other claims against Tobii due to other defects. This warranty is nontransferable and applies only to you in your capacity as original customer, except to the extent such warranties are transferable under applicable mandatory law. If you are a consumer, this warranty applies in addition to and does not limit any rights that you may have under applicable mandatory law. Further, the limitations of liability will not limit any rights that you may have under applicable mandatory law, though however the right to compensation shall in no event include losses related to business activities. Prior to returning any product to Tobii, you must contact our support for a Return Authorization (RA) number. Note that obtaining an RA number does not mean that the complaint is approved. Products returned without a RA number will not be serviced. 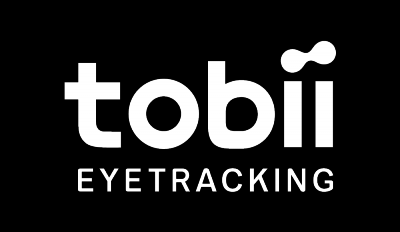 The product must be returned to Tobii with the original receipt and original packaging, documentation and any accessories and together with a detailed description of the defect. Although we will do our best to accommodate your needs if repairs are necessary, this warranty does not guarantee your uninterrupted use of your device. These warranties replace all other warranties, express or implied including, but not limited to, the implied warranties of merchant-ability and finesse for a particular purpose. However, some laws do not allow the exclusion of implied warranties if these laws apply, then all express and implied warranties are limited in duration to the warranty period. No warranties apply after that period.